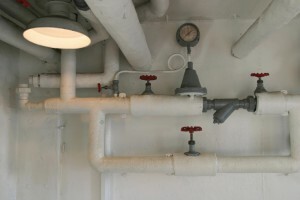 Commercial Pipe Repair, FishHawk, FL | A Step Above Plumbing Inc. Commercial Pipe Repair, FishHawk, FL | A Step Above Plumbing Inc.
We have been working on and completing commercial pipe repair projects in FishHawk, FL for over a decade. Rusty or discolored water comes out of your faucets. You notice that there is reduced water pressure throughout your building. There is sediment in your water. 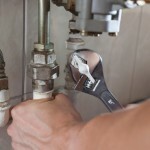 Your pipes frequently leak or break. When we come to fix your pipes, we will fully assess the situation before we get to work and determine if you should move forward with the repair process or if it would be in your best interests to simply replace the broken pipe. You can trust our opinion because we are committed to complete customer satisfaction and because we have been working on commercial pipe repair projects in FishHawk, Florida for over a decade. To schedule a time for us to come and look at a malfunctioning pipe in your building, contact us at A Step Above Plumbing Inc. today. We are confident that you will be pleased with the quality of our services, our pricing, and our workmanship.